After joining the Shabbaton unexpectedly yesterday, today I joined a tour. I went on the Masada and Dead Sea tour. Masada was hot. I brought back one souvenir and it’s red and all over my face and arms. So much for the sunblock. We skipped the Dead Sea for the most part. Many people were very annoyed, including me. I was last in Israel 30 years ago. My family saw the Dead Sea but didn’t go in. I wanted to do that this time. Obviously we could see the sea on the drive, and we did convince the driver to stop so we could take pictures. But I wanted more this time. They said that many beaches are closed because of lower water levels and a plethora of sinkholes. But one person abandoned the tour at the start and he got to go. We stopped at the old synagogue at Ein Gedi and at Qumran, but just for the gift shop of the latter. It was a fun trip, but I thought it would be better. I had dinner with four friends and almost fell asleep at the restaurant. 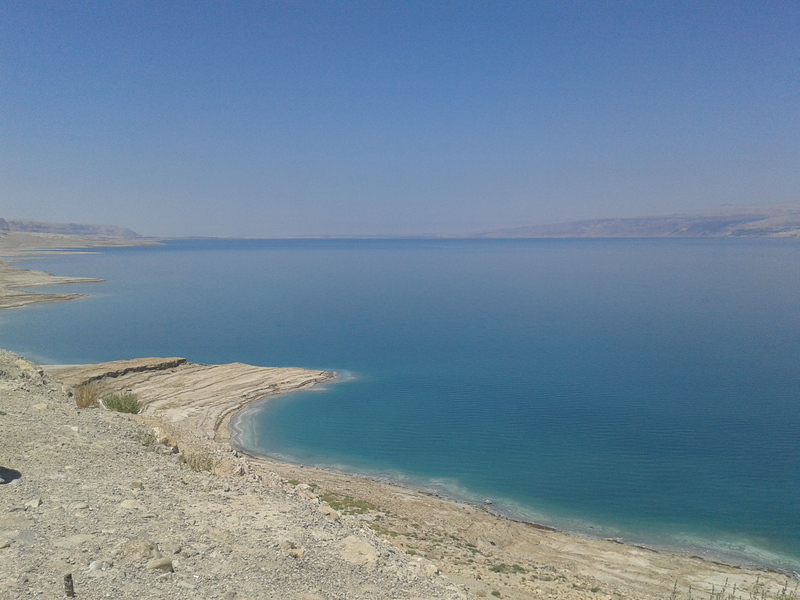 Today’s picture is the Dead Sea.